We find great books you'd never find on your own, based on your personal interests and current events. There’s not much better than relaxing on the beach with a great book. 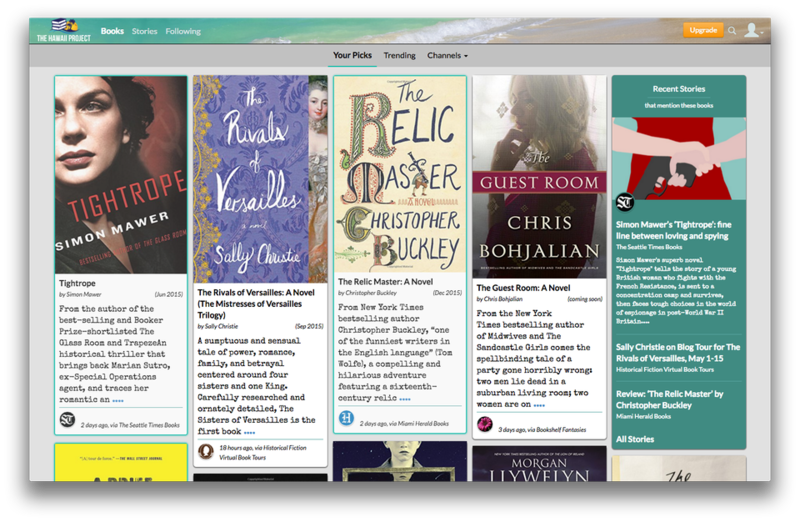 The Hawaii Project brings you great books you'd never have found on your own, by tracking what the web's leading tastemakers and book reviewers are writing about, uncovering books and book news that match your personal interests and current events, and bringing them to you daily. We donate 10% of our revenue to three great literacy non-profits, because books change lives.